Detailing the physical features, habits, territorial reach and other identifying qualities of the Bush Cicada. The flashy coloring and huge size of Bush Cicadas are overshadowed only by the deafening chorus they create every summer. 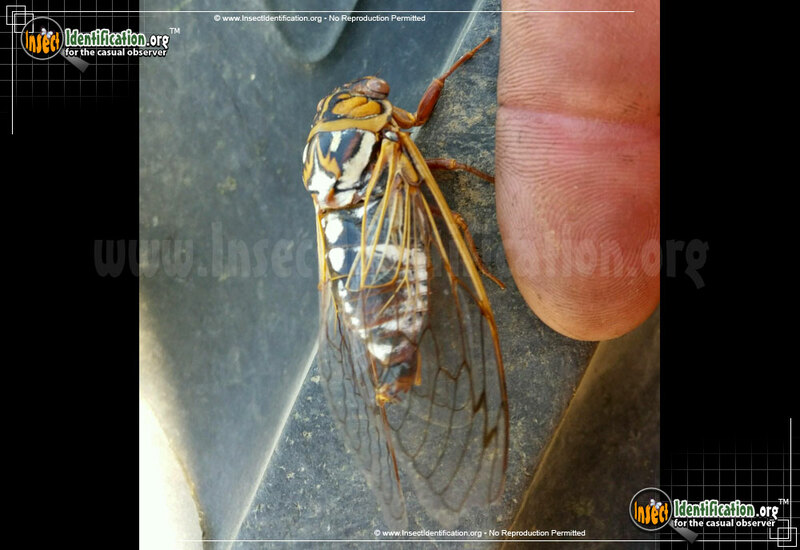 Bush Cicadas are also known as Grand Western Cicadas. They are generally found in states that make up the Central Plains and the Southwest. These large, flying insects are harmless to people. Wings are golden yellow and long. The head and body are brown and golden yellow. The thorax has a yellow 'W' on the top of it and white diagonal lines along the side. White spots run down the 'spine' and side edges of the abdomen. Eyes are large and spaced far apart. Strong legs are brown with a remarkable ability to cling to things. Adults do not feed; instead they focus all their remaining energy on reproduction. They can be found in trees, on bushes, or clutching blades of grass while calling out to others. This species of annual cicada forms huge populations that can be heard all summer long. The males call to females in a loud buzzing drone that gradually tapers off, only to start up again a few moments later. After mating, females lay fertilized eggs on leaves that eventually fall to the ground. 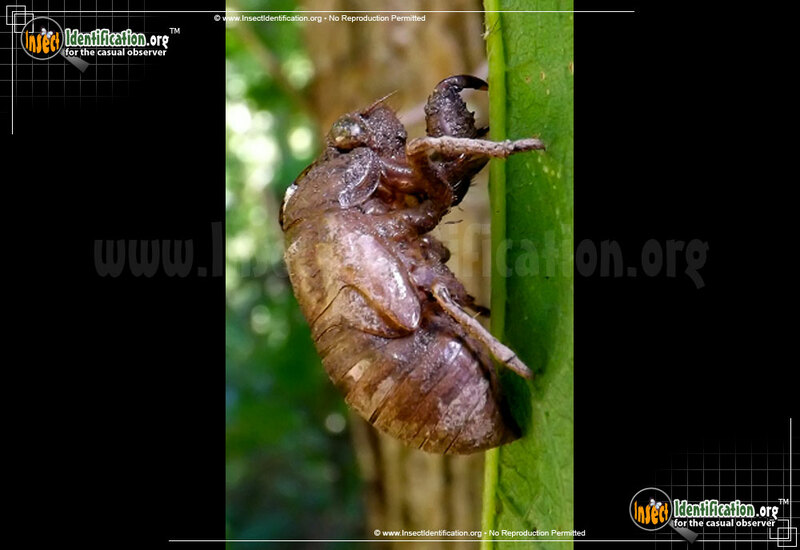 Larval Bush Cicadas dig underground after hatching and feed on the juices of tree roots. They molt into winged adults, leaving behind crunchy brown 'shells' of their previous bodies that can be found clinging to tree trunks, fences, and window screens. These 'shells' so closely resemble the living insect, they are often mistaken for dead ones.